“Typical Solution” Things have calmed down in the cave. The gobos have had some time to clean off the soot and goop. It is now time to catch Bam up on the situation. With the cave in, there is no way that they might catch a glimpse of the top crew as they mill around the edge. And so far no one knows the fate of the four that ended up in the river. With that said, they must now discuss their current issue. Tok is quick to make a suggestion on how they might clear the debris. You know it is bad when everyone says the same thing in response to your typical solution to any problem. Just like an attack on a gobo sentry, the chimera sneaks on in… to the cast page! 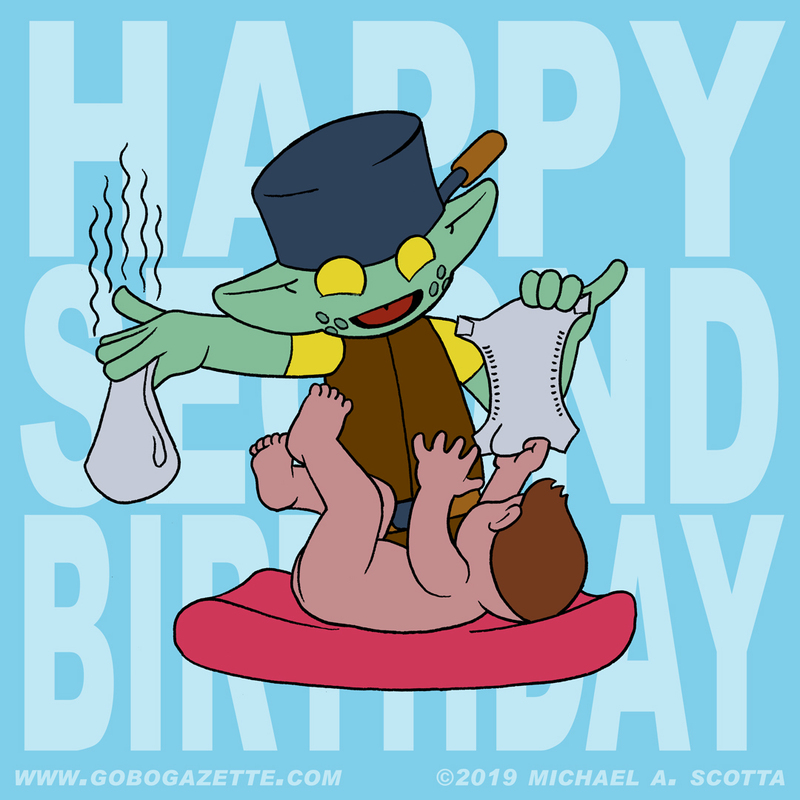 Those that follow Gobo Gazette through Instagram, Facebook, or Twitter may have spotted the activity late in the night. You may have noticed it here as well… I was stumbling over the cast page update. If not, then please just forget that last sentence. “They’re always after me… pot of gold?” Everybody’s always talking about Lucky’s charms, but nobody ever talks about his stash of cash! Maybe Bam will come back later to steal a bowl of cereal. It is once more that time of year where everyone celebrates a guy who was captured by Irish pirates and then chased off a bunch of snakes. Or so the story goes. But the mainstream masses primarily celebrate the mass consumption of alcohol. If you are one of them, enjoy yourself but also drink responsively. 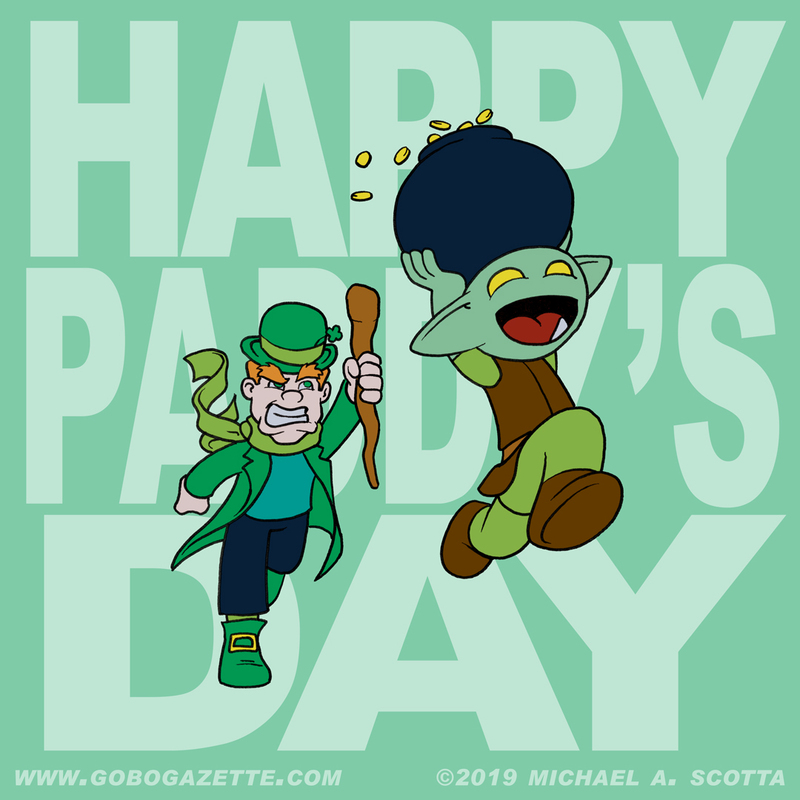 St. Patrick’s Day is what I’ve always referred to as one of the three amateur nights of the year, where young adults meet – and exceed – their limits. The other two nights are New Year’s Eve and Cinco de Mayo. It is one of the reasons I don’t like going out of the house on these days. It can get a bit rough. And dangerous, especially on the roads. So, enjoy the non-reason for the season but please, for everyone else’s sake, have a designated driver. And if that driver is working (i.e. taxi, Uber, Lyft, etc) give them a tip for dealing with your shenanigans… especially if you can’t hold your liquor. It has been some time since the Cast Page has been updated. Who better to put a change to that then the Party of Adventurers? Oh, I’m sorry. 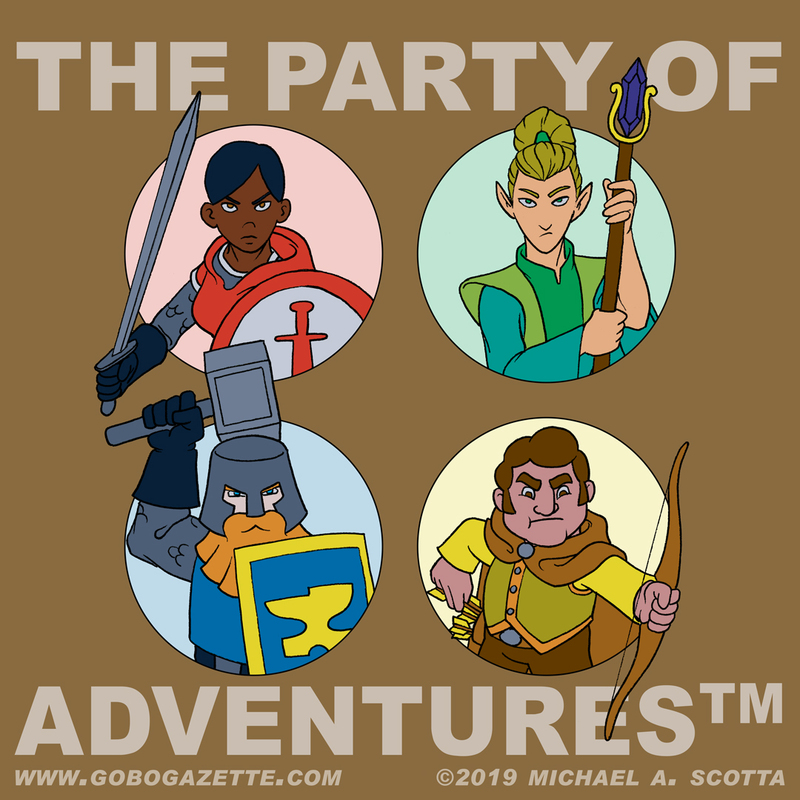 Party of Adventurers™. This post’s image, along with individual shots of each of the groups enigmatic members, will be appearing on Instagram starting today and concluding on Thursday. 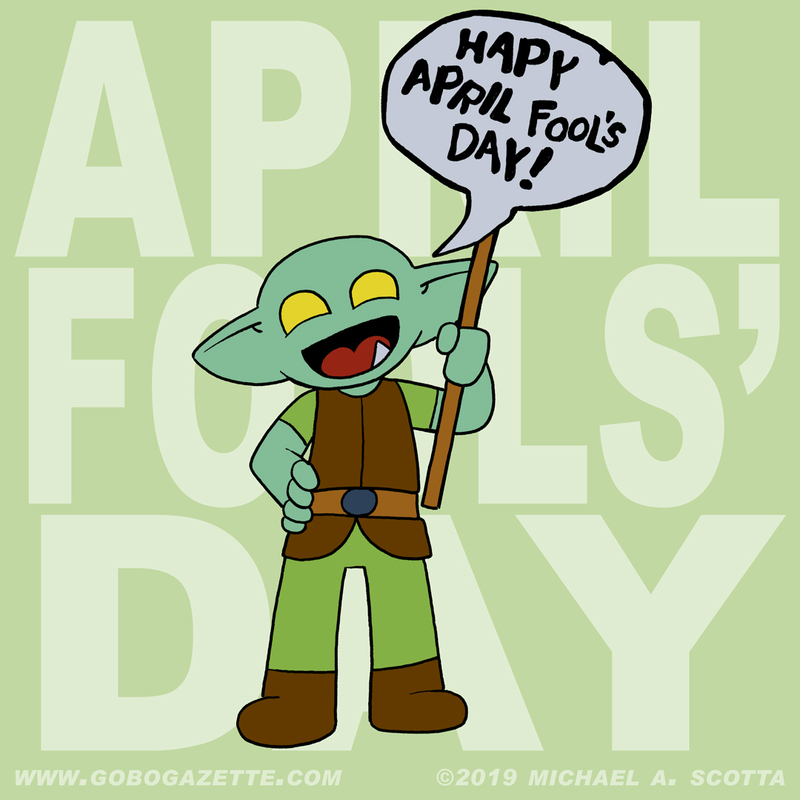 Including the Friday comic, that’s almost a full week of posts from Gobo Gazette! After their Instagram debut, they will be added to the Cast Page with a bit more detail (not too much, because… enigmatic)! So, what is up with the other strangeness (other than a role-playing reference)? Well, I will be updating the Cast Page further with the chimera, as well as adding these guys. Not all at once, but very soon. Basically, I am trying to make sure that the website is up-to-date. All the cast references will be made available to new and old readers alike.